When you're in the market for quality customer service and a unique buying experience, look no further than Audi Greenville. We offer a variety of financing options, great new Audi models and genuine OEM parts to ensure you get the most out of your driving experience. We're passionate about our local community, and we proudly serve customers from Greenville, Winterville and Washington. Keep reading to learn more about how we can better serve you. For authentic German luxury and contemporary style, choose Audi. For a simple and easy buying experience with a focus on customer service, choose Audi Greenville. We sell some of the most popular Audi models on the market today, like the Q5, Q3, A4, Q7 and more. Narrow down your options by choosing from our variety of available colors and features, and make sure you keep checking back to our site to see the latest incentives on our new models. Looking for a used vehicle? Check out our large inventory of both used and certified pre-owned vehicles today. Our certified pre-owned vehicles have undergone thorough inspections and come with extra benefits and warranties unique to our CPO program. 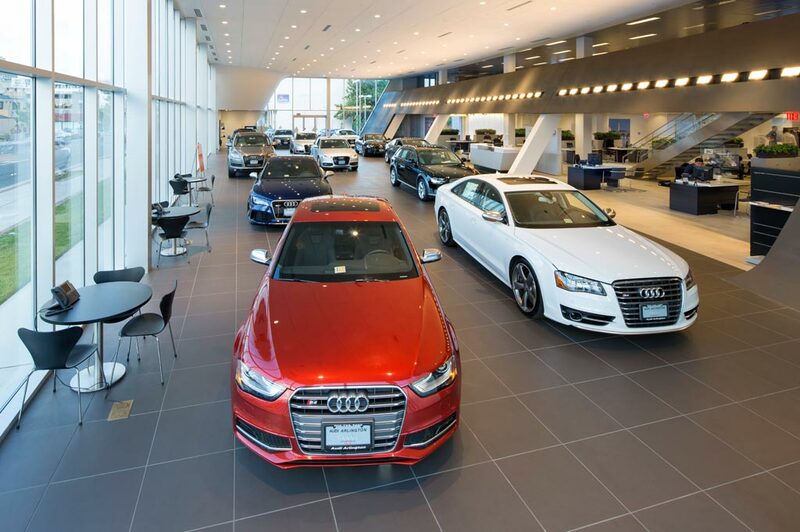 The Audi Greenville sales team looks forward to finding the right vehicle for you. From popular used Audi models to models from other well-known brands, you'll surely find something unique for you. When your Audi needs services as major as a transmission overhaul or as minor as an oil change, you can trust Audi Greenville to take care of things. Our highly-skilled and factory-trained technicians are here to answer any questions you have about your vehicle. Schedule your appointment online to find out what Audi Greenville's commitment to quality service and repair means for you, or check out what specials we're currently running on the services your car needs. And, of course, we carry a large selection of genuine Audi parts that you need to keep your vehicle in great shape. Financing your Audi doesn't have to be difficult. We're available to assist our customers in Greenville, Winterville and Washington or beyond streamline the buying process. Our team of car loan and leasing experts are ready to help get you behind the wheel of your next vehicle with the best rate possible using our finance programs. If you'd like to finance your next vehicle, you can simply apply for auto financing online with us, and we'll reach out to you as soon as possible with your best options. Visit Audi Greenville and Take a Test-Drive Today! Thanks for visiting us online! We hope you found everything you need. If you have any additional questions, though, don't hesitate to contact us or visit us anytime at 3001 Evans Street Greenville, NC 27858. We look forward to serving all of our customers from Winterville and Washington.